Home > Family Finances	> Should I Refinance My Mortgage? Mortgage interest rates are at historically low rates. Consequently, you may be wondering if it makes sense to refinance your mortgage. Although there may be a variety of reasons for refinancing your mortgage, there are probably three primary reasons for you to refinance your mortgage. Since there are costs associated with refinancing a mortgage, the decision to refinance may not be a slam-dunk. Essentially, you are paying money today, to save more money later. As an example, assume that refinancing reduces your monthly payments by $50 per month. If you have 25 years remaining on your mortgage, you will save $15,000 over the life to the loan. If you assume you will pay $5,000 in closing costs to refinance, you save $10,000… over the next 25 years. There are many different mortgage calculators available which will help you calculate your savings. You can click here for one, or search the internet. Keep in mind, internet calculators are only estimates, and the computations from your lender may be different. Here are a few additional things to consider in your decision to refinance. The time value of money – In my simple example above, you save $15,000 over the next 25 years, but you have to pay $5,000 up front. Not only does it take you over 8 years to recoup your $5,000, you also lost the opportunity to invest that money and earn a rate of return (hopefully). With interest rates on liquid assets near zero, the time value consideration may be nil. Income taxes – The only refinance costs you can deduct are points paid to reduce the interest rate. Unlike points you pay when you initially purchase your home, points paid on a refinanced mortgage must be amortized over the life of the loan (25 years in our example). With a lower interest rate, your current mortgage interest deduction will also decrease, which could cause your current tax liability to increase slightly. Although you’ll come out ahead by paying less interest over the life of the loan, your total benefit might be reduced by a smaller mortgage interest deduction. Length of ownership – Since it’s likely to take you a couple of years of reduced payments to recoup the closing costs, you need to consider how long you plan to stay in your home. If you expect to move in the next few years, the monthly savings may not be sufficient recoup your out-of-pocket costs for the refinance. 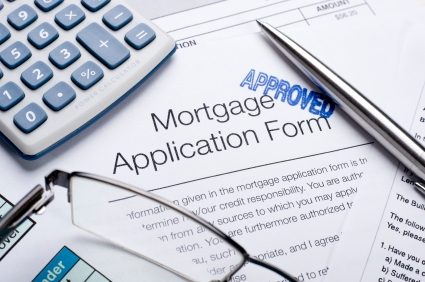 The loan process – The mortgage financing industry has changed dramatically. It’s not easy for anyone to get a mortgage in today’s market. I’ve had clients who experienced difficulties and delays in getting their refinancing approved, even though they could have easily written a check to pay off their existing mortgage. The aggravation may be worth it, but expect the approval to be a hassle. Market value – The fair market value of your home may be one of the biggest stumbling blocks to a refinance. Market value is what prevented many people with subprime and adjustable rate mortgages from being able to refinance. If you don’t have sufficient equity in your home, you won’t be able to refinance, even if you’re making your current payments, and the refinance will make it easier for you to continue making your payments. Many advisors will tell you that the interest rate should at least 0.75-1.00% lower than your current rate for a refinance to be economically feasible, but depending upon your situation and long-term goals, a smaller rate differential might still be beneficial. My advice is to run the calculation with an online calculator and see if it makes sense to you. If the closing costs can be recouped within the next 5-7 years, and you don’t plan to sell before then, talk to a mortgage broker and get their advice. A reputable broker will be able to give you a more accurate estimate of what it’s going to cost, the savings you can expect, and the process involved. Refinancing your mortgage can save you money. However, there are costs involved, and you want to make sure the benefits exceed the cost.